The economy being what it is, I can’t always get a professional peel. I love Dr.Brandt skincare products because it’s just like taking the doctor home with me. As soon as I applied the product I could feel it working its magic. I saw the results, my skin was smoother, clearer and radiant. I love being able to see the difference, even after my famous Maui tan. New Dr. Brandt Laser a-Peel immediately exfoliated and resurfaced my skin. As I’ve been getting older my skincare concerns have turned to skin resurfacing, I love using products that aid in cell turnover and collagen production. After weeks of using Laser a-Peel by Dr. Brandt my skin was firmer and my pores were tighter revealing glowing healthy skin. The anti-inflammatory and soothing agents were a plus, my skin was noticeably less red and irritated. My tiny laugh lines and wrinkles were minimized. 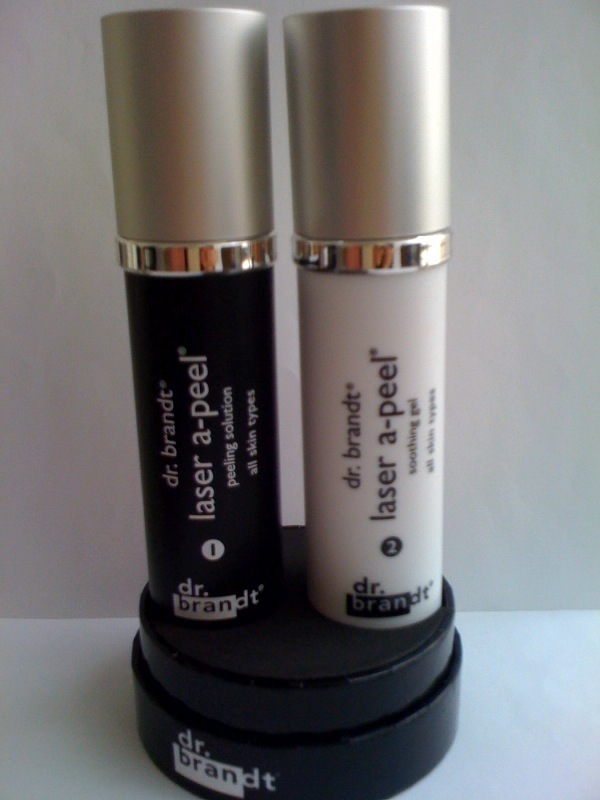 So go ahead and get 20 times the anti-oxidant power of Vitamin C with New Laser a-Peel by Dr. Brandt. isn’t it time you took the Doctor home with you? Laser a-Peel gets a TEN!